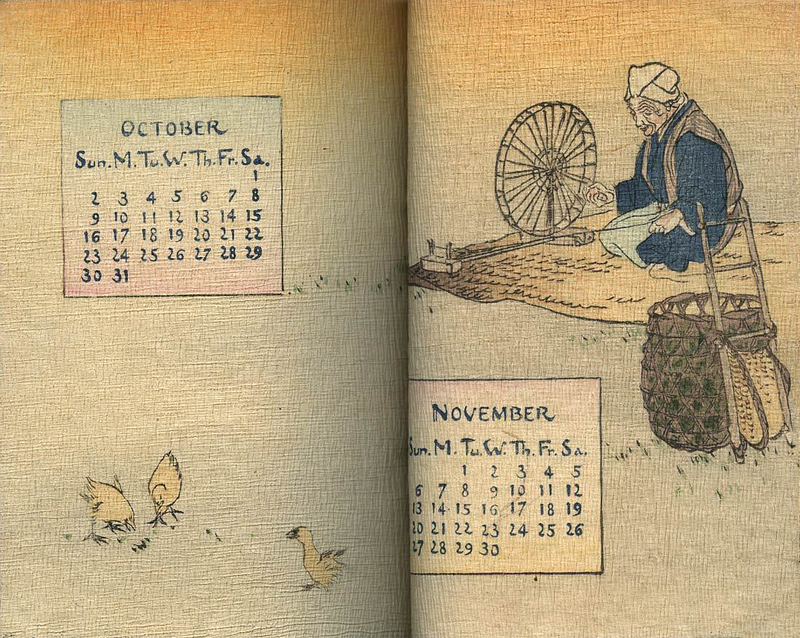 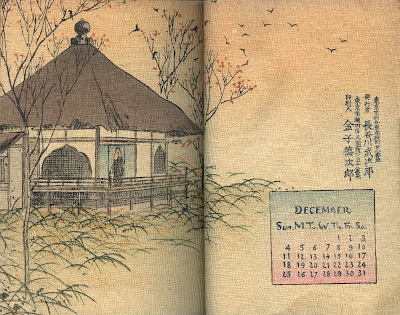 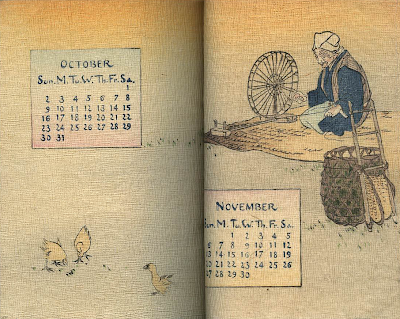 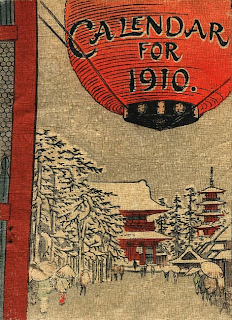 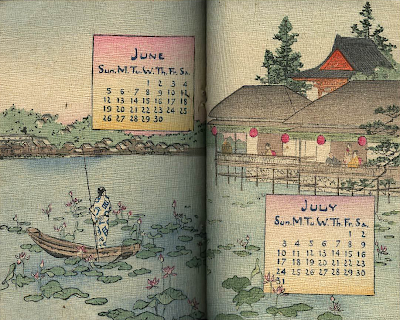 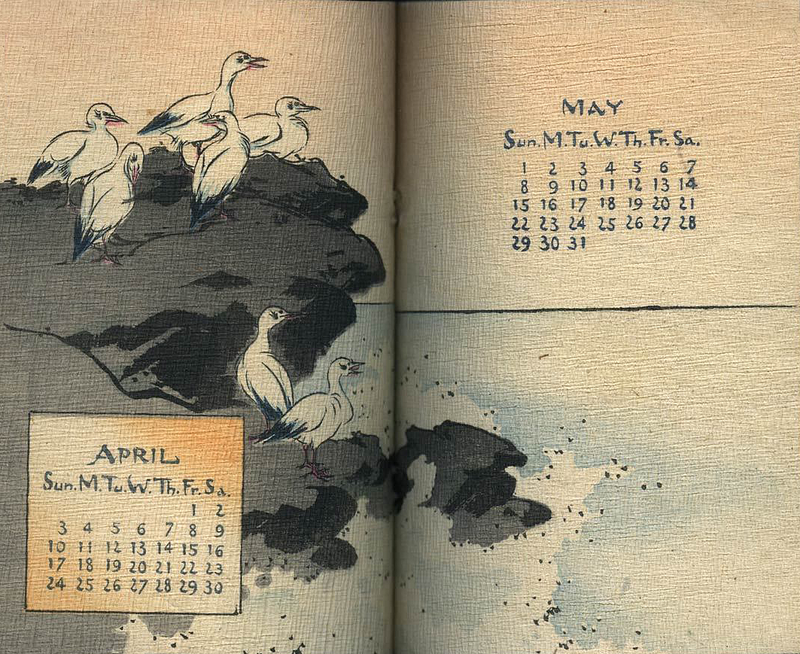 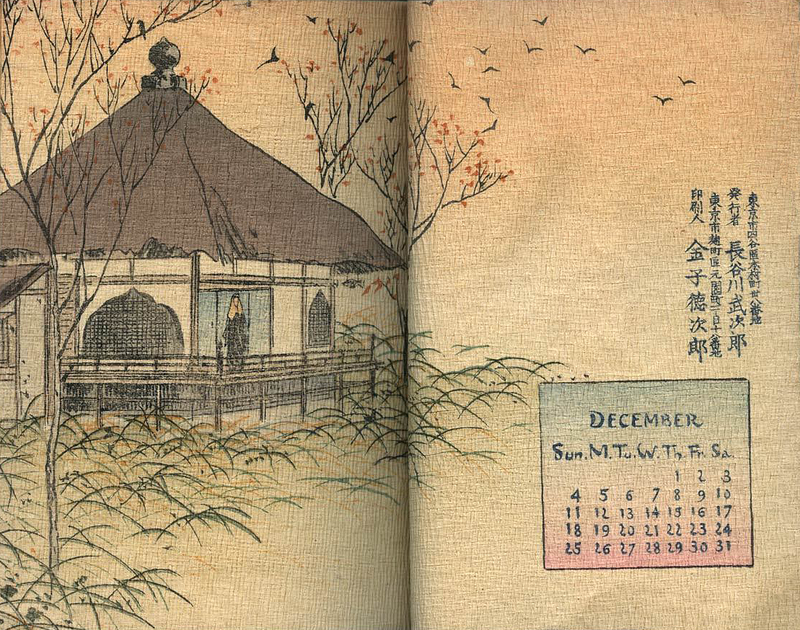 This 1910 Japanese crepe paper (chirimen bon) souvenir calendar printed with woodblocks by Takejiro Hasegawa (1853-1938) is a real standout. 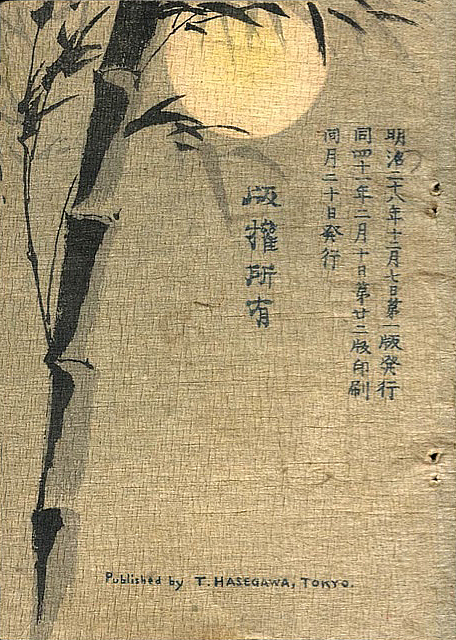 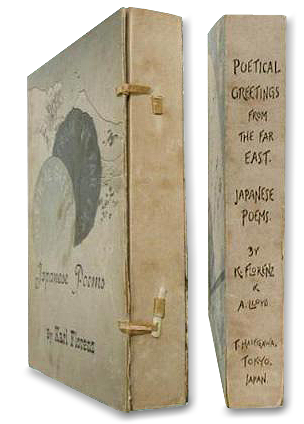 It measures about 3 x 4.25 inches and originally had a traditional Japanese stabbed binding, however the ties are now missing. 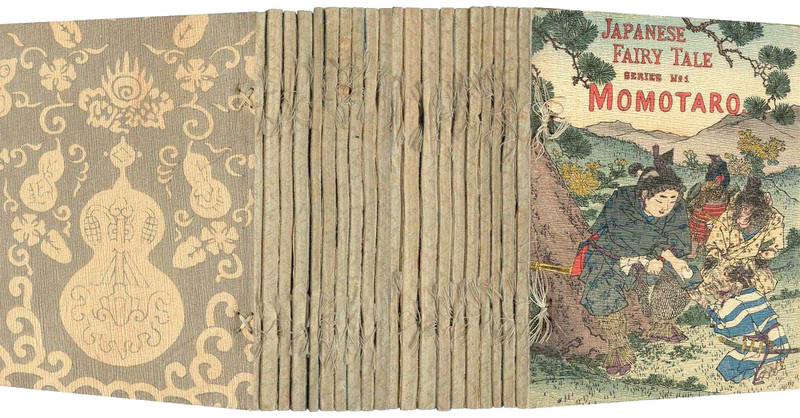 It was recently sold on eBay for nearly $400. 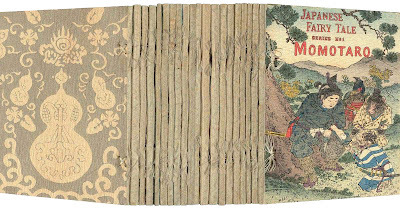 Hasegawa was widely recognized as an innovative publisher of Japanese fairy tale books printed all by hand with woodblocks. 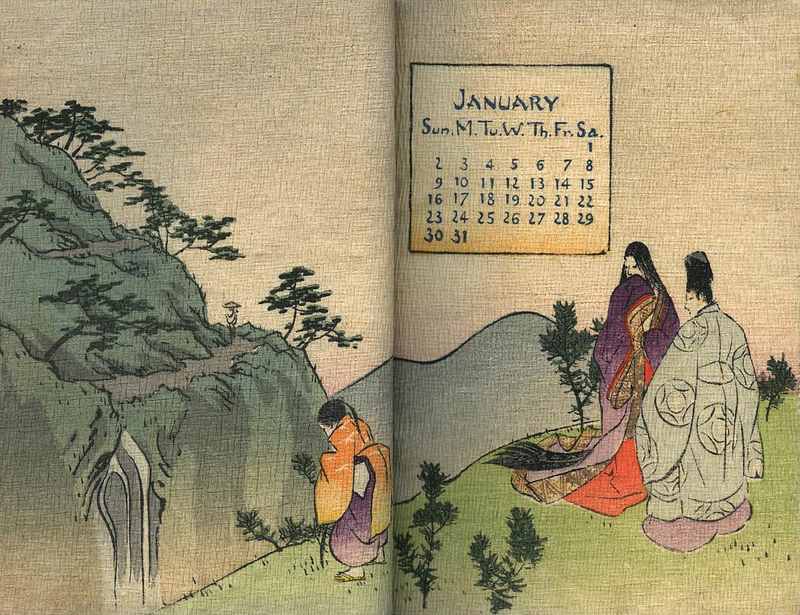 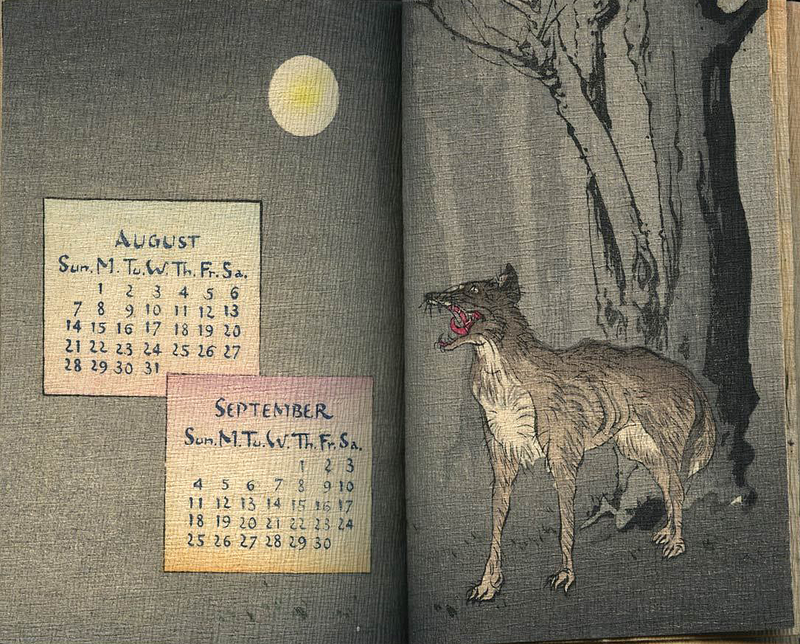 These, just like the calendars, were all printed on crepe paper, as this was considered to be the most durable. They were all largely produced for the Western market and sold as souvenirs, and printed in very small editions, often of no more than 400 each. 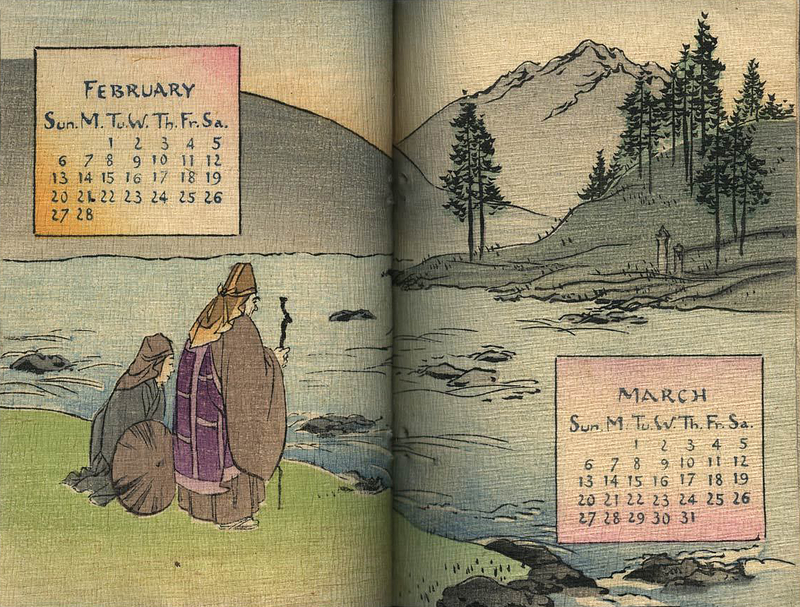 Many of the calendars can be seen at Baxley Stamps along with a nice selection of his fairy tale books. 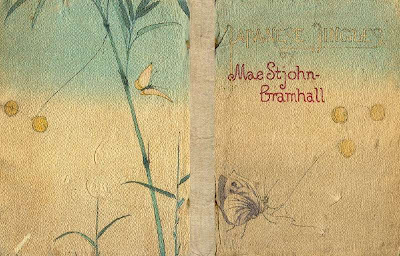 Just below is a cover of one which you can view in it's entirety here.